Chop the fresh oregano, thyme and parsley and place in a bowl. Chop the garlic clove into thin slices and add to the bowl. Add the Pago Baldios San Carlos Extra Virgin Olive Oil. Season the threaded chicken breast with a bit of salt and pepper. Place the chicken breast fillets into the bowl with the mixture. Marinate the chicken for at least 30 minutes. 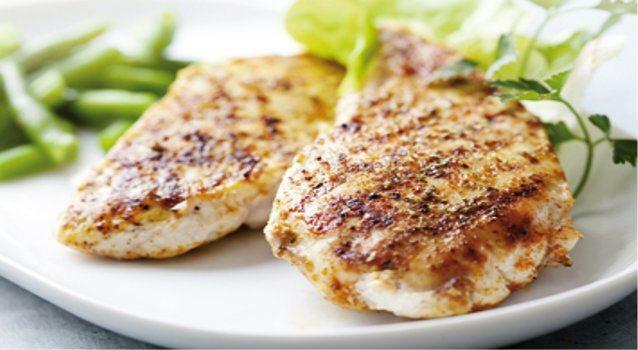 Place the marinated threaded chicken breast in a hot pan for 2 or 3 minutes. Turn around and leave for another 2 or 3 minutes. Turn up the heat to maximum power and add the Transparent Balsamic Vinegar. Wait until caramelized. Remove chicken and place on a dish.